Time for another Oxford special! This is a re-run of a successful ride I led last summer. This ride will combine some interesting routing into and around Oxford with a tea stop in a beautiful city centre location and a nice testing hill climb in the second half. What's not to like?! We head out via Hanney and Southmoor to Appleton and Cumnor. Down Cumnor Hill to Botley, then a cunning cut through to the lovely road around the top of Port Meadow to Wolvercote. 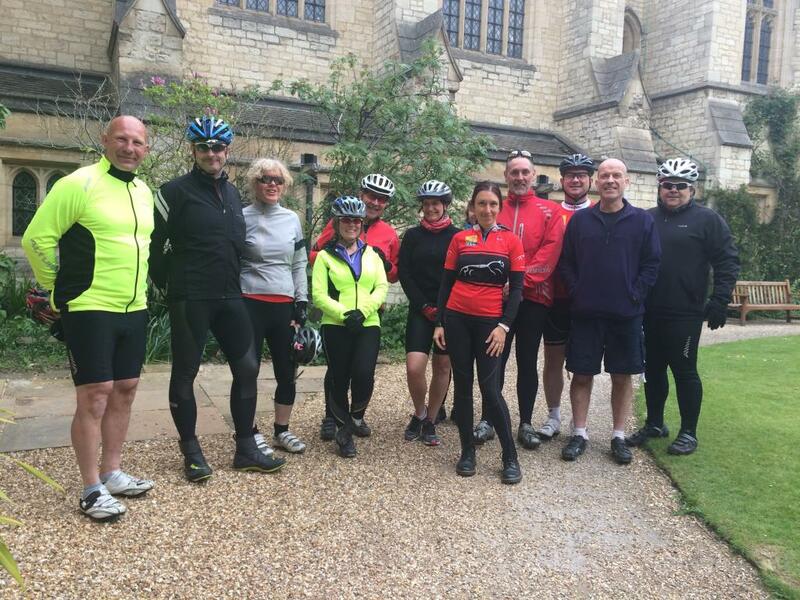 A very special tea stop - we will pick up drinks and cakes in the best of North Oxford's cafes and then gain VIP entry to the beautiful St Cross College on St Giles. Then out of town south to Kennington, across towards Sunningwell and the big test of the day - the mighty climb of Bayworth Lane up to Boars Hill. Rewarded with great views back to the dreaming spires and an equally big descent to Wootton. Back through the Vale via Tubney, Fyfield and Charney Bassett. 45 miles at a good pace - 13mph or so. What a nice ride! The weather was kinder than earlier forecasts had predicted - dry with a bit of a southeasterly breeze. A good group gathered and we met up with John D along the way. The VIP tea stop at St Cross College went well and Greens Cafe was a hit. The usual scrappy routing out of Oxford to the south and a couple of incidents with impatient motorists, but we made it back to the quiet countryside. But time had rolled on and we took the decision (as last year) to miss out the big climb up Boar's Hill. Clearly, this hill deserves a ride of its own! Back to Grove around 5.30pm. 45 miles / 72km at an average speed of 13.5mph / 22kph. 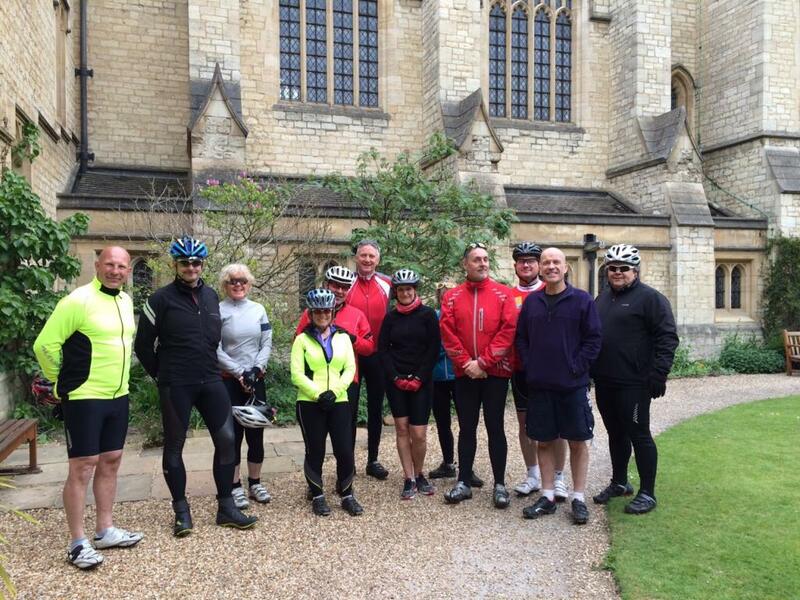 The group stayed together extremely well and the ride was a pleasure to lead. A particular mention for Jody, riding her first 3* ride and clearly having no problems at all!